Near the Tumlehed anchorage. 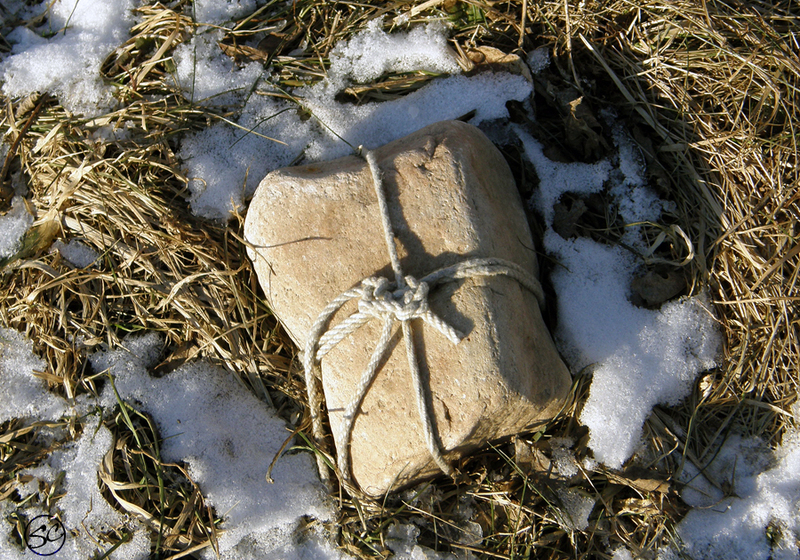 The snow melted to expose dry grass and this stone, neatly tied. A weight for a fishing net perhaps. Is Norway losing pride in the Nobel Peace Prize? I want to open that parcel! Thanks for the comment, Flap! Be my guest – I wonder what’s inside?